Loving the toe nail polish!! What color/brand? Love the blog too! Thank you! I’m not too sure what color it is but its by Essie nail polish. I just went to the salon and ask for a white nail polish. Haha! Essie is THE best. Love your blog!! 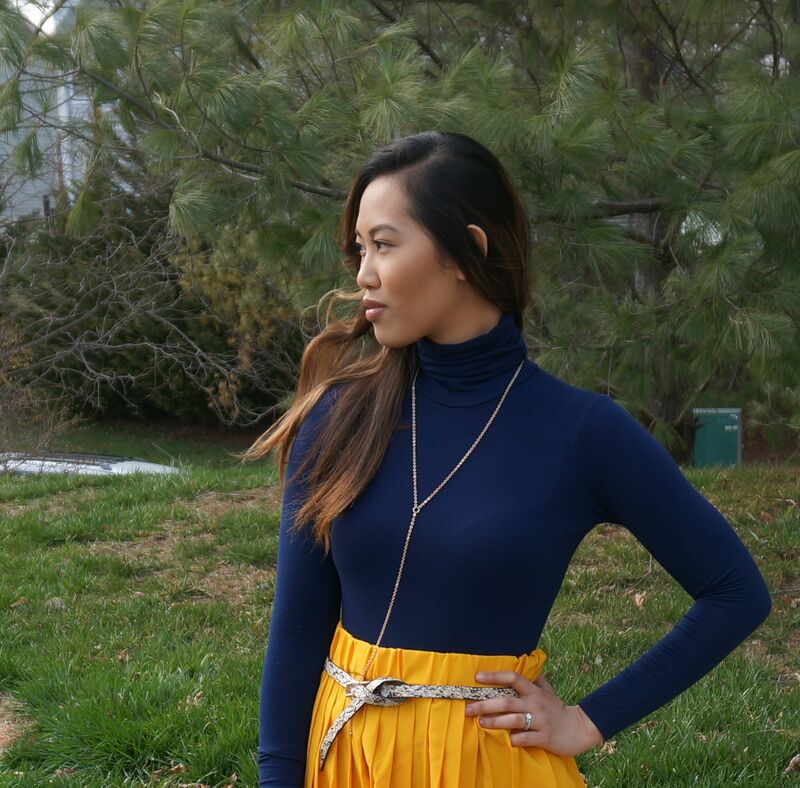 I love this yellow & navy pairing- its perfect for early spring! Thanks for sharing at the link up today! Love the mix of yellow and blue. Those colours go great together! Obsessed with the texture and color patterns! Wow girl! ❤ You look so beautiful! Love the whole outfit! Great pairing of the long-sleeved bodysuit and sunshine-yellow skirt! Perfectly transitions from day to night in this early spring weather. 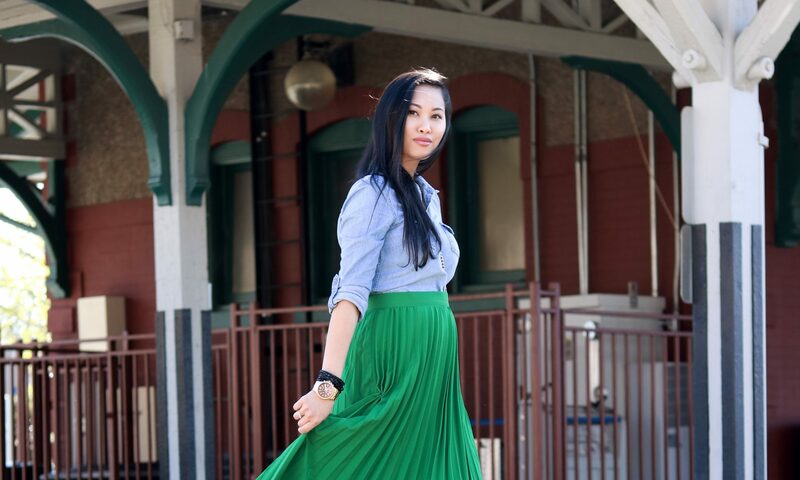 Please check out our LA-based fashion blog, which shares business casual / weekend casual looks for both men and women. We’d love to hear your thoughts!